Another week begins as we creep towards the Holidays, and Nintendo of Europe once again sends us on our way with a fresh download update. This week has some promising offerings, including more 3D SEGA goodies, a long awaited 3DS RPG and a much overdue Wii U and 3DS retail release; there's plenty more besides, too. Let's get to it. Scribblenauts Unlimited (Nintendo, €49.99 / £39.99) — This was a Wii U launch title in North America but inexplicable got with drawn from release in Europe moments before it was due (it even appeared briefly in the eShop). We never had a proper explanation for that occurrence, but it finally arrives in the region — we gave it a strong recommendation in our Scribblenauts Unlimited review. Available from 6th December. 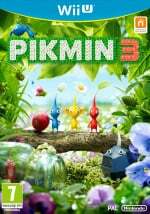 Pikmin 3 All-New Mission Stages 12-15 x 2 (Nintendo, €4.99 / £4.49) — A pack of additional stages for Pikmin 3 Mission mode. Four stages each for "Collect Treasure!" and "Battle Enemies!" with four completely new maps, from a sandy beach to a strange factory. Additional stages can be played in the order of your choice. Available from 2nd December. 3D Sonic the Hedgehog (SEGA, €4.99 / £4.49) — This is the 16-bit début that truly launched the SEGA mascot to fame, and it now arrives in Europe with a silky smooth framerate and a nice 3D effect; there'll be no 50Hz nonsense here. We'll give this one a spin for a review. 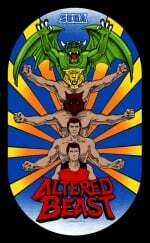 3D Altered Beast (SEGA, €4.99 / £4.49) — This is a sidescrolling brawler that once caused one of the most lively Nintendo Life round table debates in recent times, with some dismissing its charms and other defending in to the hilt. We'll "Wise From Our Gwaves", or whatever, for a review this week. Youtube (Google, Free) — We already knew this was available, but consider this your reminder. Fishdom H2O: Hidden Odyssey (Cypronia, €4.99 / £4.49) — Coming to the 3DS after a life under the Sea on PC, this is a hidden object game with some items and decorations to earn and buy. It doesn't do much wrong but can be considered a "shallow experience", as we explained in our Fishdom H2O: Hidden Odyssey review. 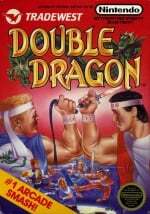 Double Dragon (Arc System Works, €4.99 / £4.49) — A fondly regarded 8-bit beat-em-up, this is likely to get quite a few purchases based on fond memories alone. We'll see how it stacks up on its 3DS début, while in the meantime you can check out our Wii Virtual Console Double Dragon review. Bravely Default (Square Enix, €44.99 / £39.99) — This RPG was given plenty of buzz for its original Japanese release, but news on localisation was ever elusive. It now arrives in the West in its new "For the Sequel" form, though that's dropped from the name — it's been worth the wait, however, clocking in as a lengthy epic that's beautifully designed. We gave it a glowing recommendation in our Bravely Default review. Available from 6th December. 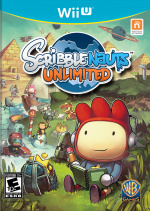 Scribblenauts Unlimited (Nintendo, €39.99 / £34.99) — This handheld version arrives a year to the day after its North American iteration, suffering the same fate as the Wii U version. Nevertheless, we gave it plenty of praise in our Scribblenauts Unlimited 3DS review. Available from 6th December. Bravely Default - SP Drink (Square Enix, €0.99 / £0.89, first purchase of this item is €0.50 / £0.50) — Perhaps a less savoury but thankfully optional addition to Bravely Default, each purchase gives you three SP (Sleep Points). These can be accrued naturally with the system in sleep mode, but for those desperate to use the powerful Bravely Second ability — which freezes time in battles — this may be tempting. Available from 6th December. Hooked on Bass Fishing (Gamebridge, 500 Nintendo Points) — It seems that DSiWare continues on and on, this time with a fishing sim to reel us in. It sounds like this'll use many of the tried and trusted touch screen controls, and we'll dig out our waders for a review. Quite a lot to choose from in Europe this week. Let us know what you plan to download in the poll and comments below. Sonic was 4.09 pounds for some reason ( not complaining ).